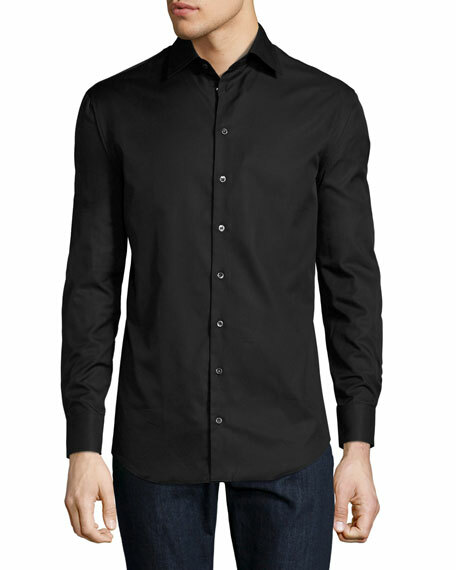 Giorgio Armani classic, versatile sport shirt. 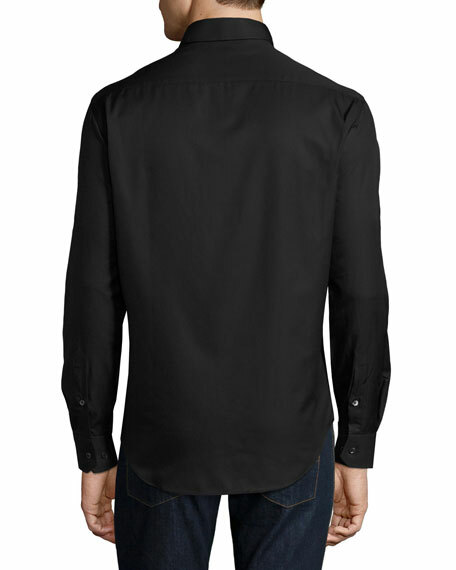 Giorgio Armani sport shirt in micro-graph. Spread collar; button front. Rounded barrel cuffs. Shirttail hem. Cotton. Made in Italy. Giorgio Armani sport shirt in micro houndstooth weave. Spread collar; button front. Long sleeves. Mitered barrel cuffs. Shirttail hem. Flax linen. Made in Italy. Model's measurements: Height, 6'1"/185cm, waist 31"/79cm, suit 40, shirt 15.5x35, inseam 32"/81cm. Giorgio Armani micro-houndstooth sport shirt. Spread collar; button front. Barrel cuffs. Shirttail hem. Flax linen. Made in Italy. Model's measurements: Height, 6'1"/185cm, waist 31"/79cm, suit 40, shirt 15.5x35, inseam 32"/81cm. EXCLUSIVELY AT NEIMAN MARCUS Giorgio Armani sport shirt in micro-weave. Spread collar; button front. Mitered barrel cuffs. Cotton. Made in Italy. Model's measurements: Height 6'1"/185cm, waist 32"/81cm, typically wears size M.